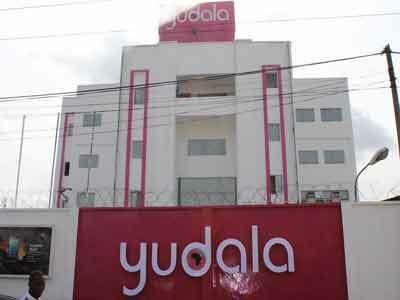 YUDALA, Nigeria’s first true composite online and offline retail chain launched in August last year, has added another significant feather to its achievement, by coming out on top of a list recently put together by world’s leading search engine Google, highlighting the top 10 trending Nigerian brands of 2015. The exclusive list, which has Yudala in second place behind Air Peace, captures the top brands, which retained the interest of Nigerians and saw the highest spike in traffic over a sustained period last year. This feat by Yudala, coming within barely five months of the company’s existence, will go a long way in dispelling any lingering doubts about the ambition of the visionaries to see the brand assume leadership of the Nigerian and African e-commerce market. Speaking on the latest recognition, Founder/Vice President, Yudala, Prince Nnamdi Ekeh, reaffirmed the company’s commitment and determination to take charge and set the pace in the Nigerian e-commerce and offline retail sector. “I am certainly delighted with the recognition we have received from Google, which is one of the world’s most popular and globally renowned outfits. It is a testimony to the hard work we have put in as well as the sound strategies we have in place at Yudala. “Just few weeks ago, I had mentioned in one of my engagements with the media that Nigerians are yet to see the full scale of the Yudala Revolution. What is being unveiled at the moment is about 20 per cent of the total package and this latest achievement goes a long way in justifying this. “Right from the moment we announced our entry into the market late last year, we have re-defined the retail space with our landmark composite retail strategy – the first in Africa which has set us apart and shown that Nigeria indeed has a lot to offer the continent and the world at large in terms of innovation. “I dare-say this is just the beginning as far as we are concerned. We are working round the clock and putting in place the groundwork behind the scenes to ensure that Yudala becomes the undisputed retail giant in Nigeria and Africa. The second quarter of this year shall define our enhanced strategy for ecommerce in Nigeria,” he stressed.